If you’re a regular internet user, you know the search engine is king. It’s the most common way we navigate online to find products and services and look for content to enjoy. To stay ahead of their competition and secure new customers, companies around the globe are hard at work developing the best strategy to have their business rank highly in search engines and have as much visibility on the web as possible. That’s where having the help of someone like this week’s #WebsiteWednesday, AandB.xyz, can make all the difference in how easily potential customers can find you online. A&B is a digital marketing agency based in Mumbai and London that offers a complete lineup of services to make your business stand out online and keep your customers satisfied. 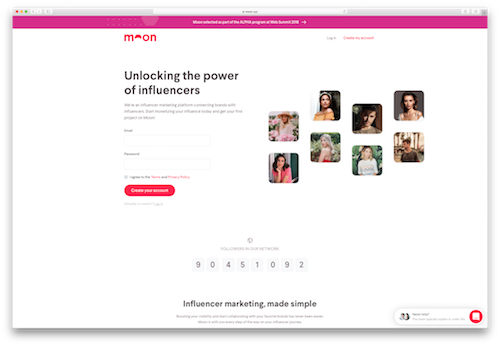 That includes everything from digital strategy planning and search engine optimization to social media content creation and influencer marketing partnerships. 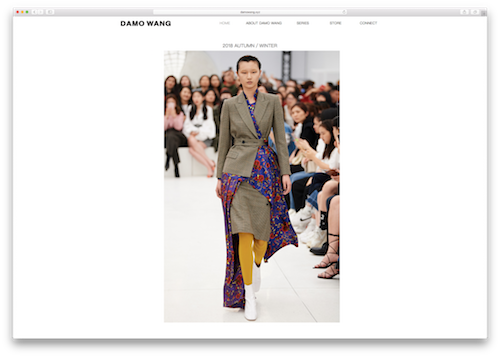 Their list of clients, which includes TEDx, Bollywood Music Project, Evok, and more, is a testament to the high-quality work they do, and you can see some of that work yourself on their site. A&B also created a knowledge resource all about SEO and digital marketing, The Rank Machine, which offers valuable advice and case studies that both novices and industry veterans alike can learn from. They even have a post about the search ranking value of your .xyz domain! “Our future goals for A&B are to launch our other sub-brands as subdomains, like Talent.AandB.xyz and Media.AandB.xyz, as well as build more around our core AandB.xyz domain. Having a .xyz domain is special not only because you can choose a domain to perfectly match your brand, but also because you are a part of the new generation of internet users branching out beyond traditional domain names. Just as A&B has shown the power their .xyz domain has given them, you can harness that same power for your business or idea and be a member of the next internet revolution, #GenXYZ. These days if you want to have success online with your business, you’re likely to hear a lot of recommendations that you get an app. But making an app can be difficult if you are not an experienced coder, or costly if you need to hire someone to develop it for you. Enter this week’s #WebsiteWednesday, Appmaker.xyz, who has just the solution you need. Appmaker.xyz is a simple interface that allows you to create your own app, complete with personalized style, content, and features, without needing to have any technical ability yourself. The app you create will be native to Android and iOS, meaning you can start reaching millions of potential customers right away, without spending time hiring a development team or learning to code yourself. 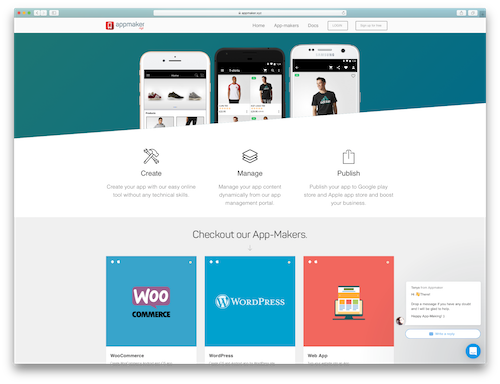 Through Appmaker.xyz you can design apps for WooCommerce, WordPress, or a web app, and design and publish your interface within a day. Check out one of their case studies to see how it works. This innovative solution has garnered high praise and recognition for Appmaker.xyz, most recently in the form of a prize at Zone Startups India’s Next BIG Idea contest. Appmaker.xyz was one of 13 startups to be named at the contest, and the win also opened the doorway for Appmaker.xyz to expand into the Canadian and North American market. “We wish to simplify the app building process by using our powerful content SDK and conquering one domain at a time. Our Appmaker Plugin is the top rated app-creation plugin available in the WordPress Plugin store. Keeping a .xyz domain has enabled us to diversify into other services as well, for example, our new product Web2Desk, which converts any website into a desktop app for Mac, Windows and Linux in one click. Creating and designing your own app without the need for any technical or development skill sounds like a dream, but thanks to Appmaker.xyz’s hardworking team, it’s a reality. Ready to take your business to the next level of success? Then make your app today with Appmaker.xyz! Have you ever dreamed of being the star of your own television show, or creating your own internet series that garners millions of views? Then you’ll need the right team behind you to make it to the top. This week’s #WebsiteWednesday is the talent behind the talent, and supports some of the most successful YouTubers in the world; Ziggurat.xyz. Ziggurat.xyz is a digital talent agency that shares the passion of the content creators they represent. They show that passion to their clients and the world by enhancing the reach of their creators’ digital content and helping them find opportunities to work with leading brands like Google, eBay, DeWalt, and Virgin, as well as by producing content their creators have made through the production side of Ziggurat.xyz. Just recently, Ziggurat welcomed another notable creator to its family of creators, Gavin Free of YouTube channels The Slo Mo Guys and Rooster Teeth. Ziggurat also helps highlight their creators via their social media @ZigguratXYZ on Facebook, Twitter, and Instagram, and even has the Ziggurcast podcast, which you’ll want to check out if you’re a fan of any of their creators. Just as XYZ supports the #GenXYZ community with the resources and global reach of our platform, Ziggurat.xyz is helping the inspiring creators among their family of clients to bring imaginative new projects and digital media to the world. 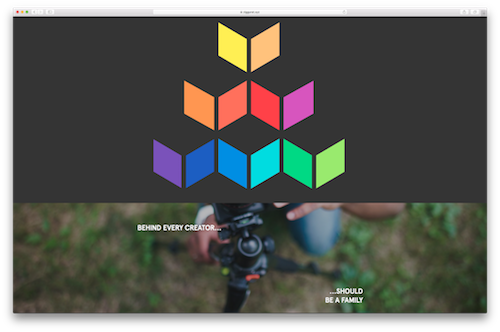 A personal website is a place where you can let your creative mind run free and share your unique personality with the world. This week we’re highlighting photographer TomRoss.xyz, who does just that, and his work will inspire you to get your own personal .xyz site and start sharing your imagination with the world. Tom Ross is an internationally renowned photographer who specifically works taking pictures of architecture. Tom puts a unique spin on his architectural photography by capturing people and scenery in addition to rooms and their design, which paints a full story to go along with the architecture itself. Tom has worked on projects for notable clients like Nike, Adidas, and the National Gallery of Victoria, and many of his photographs from these projects are available right on his site. Having a personal website provides you with your own slice of the internet on which you can build anything you like. If you’re a creative minded person like Tom Ross, then you can fill that space with your work and new ideas, while also using it to brand yourself to the world. Want to claim your piece of the web? Get YourName.xyz today! We all remember the feeling of listening to our favorite artist’s new album for the first time, or seeing a band we love perform in person. It’s a truly special experience, and it wouldn’t be possible without the management teams who support the musicians we love. 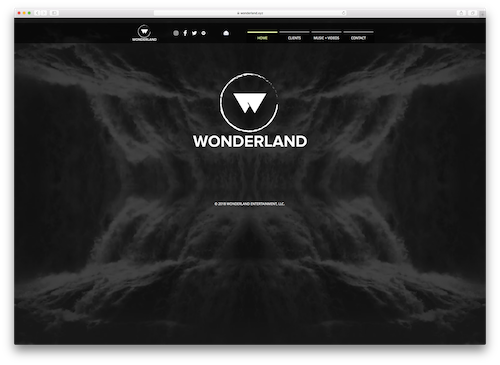 In this week’s #WebsiteWednesday we’re taking a peek at the “act behind the acts”, and showcasing a rising LA based music management company; Wonderland.xyz. Wonderland.xyz is an entertainment management company based in Beverly Hills, with a primary focus on the music industry. 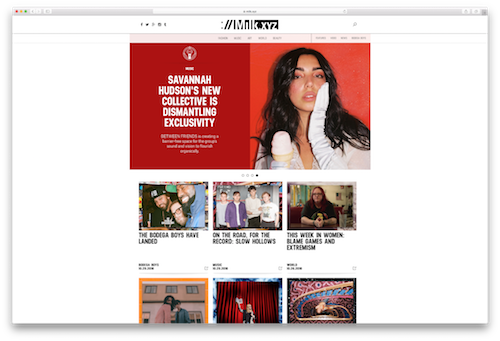 Wonderland’s clients include rising Indie artist Lola Coca, burgeoning pop star Nikki Flores, Italian producer and songwriter Michele Canova, and teen pop sensation turned full-grown media star Aaron Carter. Jayson Sanchez, the founder of Wonderland.xyz, is a music obsessed young professional who chose to pursue his dream and launch his own entertainment company in 2015 after 10 years in and around music. He documents his day to day life in the entertainment world and his travels on his personal Instagram, and uses the very well branded @WonderlandXYZ Twitter and Facebook in conjunction with Wonderland.xyz to promote his clients. If you want to start a company, branding is hugely important. This is especially true in highly competitive landscapes like the music industry. Fortunately, like Wonderland.xyz, you can brand on the domain that fits your business best and get the named you’ve always dreamed of with a .xyz domain. Great design is a major factor when you want your business to stand out from the crowd. There are many companies in the design industry today, though, which can make it difficult to decide on the firm that’s best for you. You can’t go wrong with this week’s #WebsiteWednesday, Ocean.xyz, as their UX design has garnered stellar praise from one of the greatest legends in tech. The business and cultural landscapes that surround us are changing constantly, and Ocean.xyz’s motto as a design company is to create solutions for their clients that will be ready to adapt as well. Ocean.xyz has worked with clients like Swedish appliance making giant Electrolux, upstart knowledge platform QuizRR, and perhaps most notably Dollar Street, which impressed Bill Gates so much he wrote about the company on his blog. 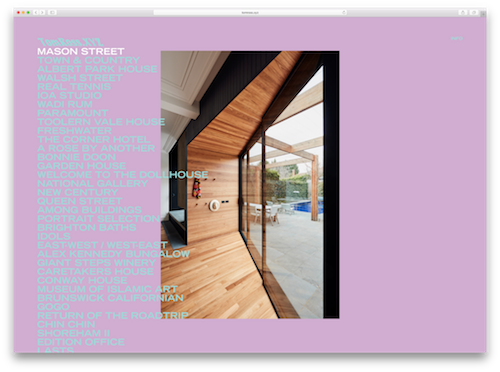 Gates praised the company’s layout of photographs they’d taken showing the living situations of people different income levels, and went through various aspects of the site’s UX that he loved; UX that was designed by Ocean.xyz. “We like the idea of a new generation of the internet, as it is ever changing. As part of the Time Well Spent initiative we also believe in crafting solutions for our clients that respect digital privacy and push innovation to build a sustainable internet for the future. When you find a unique approach to an established industry and set out to be different, there’s no telling who might take notice of your hard work. Ocean.xyz proves that if you set out to innovate and push the industry you’re in forward, then your work will stand out and help you rise above your competition. Want to get started on your road to being recognized by a tech giant? Then register YourBusiness.xyz today and build the next great website that will change your industry. We’ve seen #GenXYZ members whose businesses are aimed at solving major world issues like NxtLvlFarms.xyz and NxtLvlWater.xyz, developing sustainable food and water distribution practices, or Engine.xyz providing funding for startups that spur globally impactful industries like AI, robotics, and space technology. This week’s #WebsiteWednesday, Driver.xyz, is another .xyz adopter looking to revolutionize life as we know it, and they’re taking on one of the biggest challenges in history; cancer. Driver.xyz was created with the idea that cancer patients and survivors should have easy access to the best possible care and treatment information, no matter where they are in the world. Cancer affects people in every country around the world, but the increased research focused on curing the disease means that there is a wealth of knowledge about treating and living with cancer spread around the world, making it impossible for one doctor or hospital to have all the answers. 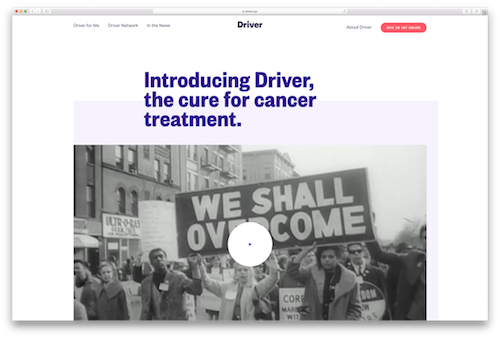 Driver.xyz’s goal is to work as the bridge between these pockets of knowledge to create a one stop resource that helps cancer patients get all the information available. Though Driver.xyz just celebrated their official launch in September, major international media outlets have already begun to take notice, including CNBC, China Global Television Network, and Business Insider. “We chose a .xyz domain because it’s unique and was an interesting option for us. We didn’t want anything that was too descriptive, or could create a false or limiting perception in our customers’ minds. The potential impact you can have on the world around you is only limited by your ambition and resourcefulness. As Driver.xyz proves, no problem is too big to solve, not even cancer. With the right idea, technology, proper planning, and the global reach of your .xyz domain, you can take down any problem you set your sights on.